I read a rather disconcerting thing the other day. Apparently, the ‘close doors’ button on lifts (elevators, for my American friends) does not work. It is there to give us a sense of control in the tin box suspended on a rope. We press it but the lift control mechanisms decide when the doors should actually shut according to their pre-programmed cycles. My reaction was of course total disbelief. For years I have been getting in lifts, pressing the button and then the doors close. My actions have been effective nearly every time. There is a near perfect correlation between my actions of pressing the button and the doors closing shortly thereafter. Case closed. But stepping back for a moment and it is easy to see that my certainty may well be misplaced. I still believe that the button works but there is room for doubt. I can recall several times where I have had to press the button impatiently twice. Maybe if the door always closes after a fixed time I had pressed it the first time very soon after getting in. And of course, if the button was not working, then the doors would still close after a set period anyway. It is conceivable that my actions have nothing to do with when the doors close. But would lift manufacturers really put a redundant button in there just to play some sort of psychological mindfuck on the users of their products? My doubts get stronger when I read that the button does work, but only when the lift is in ‘fireman’ mode and the maintenance key is turned. A little more plausible, but really? So, I have now sufficient doubts to suspend my initial judgment of the effectiveness of my lift button pressing prowess. I could be kidding myself, but I am not sure. I do not want to fall for the post hoc ergo propter hoc fallacy. “After this, therefore because of this”. Just because one event happens after another does not mean that the first event caused the second event. A dog barks at the postman and is convinced the barking makes the postman go away. You swear at the traffic lights (robots, for my South African friends) and they go green. I press the lift button, the doors close. I am ill, I take my homeopathy pills, I get better. How we respond to such information helps to define us as to what sort of thinker we are. Human brains are finely tuned belief engines. Millions of years of evolution have honed our grey stuff to spot causation in the world and form beliefs about what causes what. It helps us survive when we notice that certain events always follow other events. Such knowledge helps us reliably find food, mates and shelter. But our brains are taking efficient shortcuts. We filter out and ignore failures and remember and reinforce successes. And most of the time this works. But beliefs formed in this way can lead to mistakes. My pressing the lift button may well be a false conclusion drawn from my experience because I have failed to spot hidden causes and alternatives to the obvious. Maybe it really is just the lift closing the door without my intervention. Maybe the postman will just leave anyway without the dog barking and maybe my cold will clear up without the homeopathic sugar pill having to remember any ‘vibrational energies’. It takes care, training and caution to spot when our monkey brains might not be instinctively getting things right. And it is not easy. James Randi gave a talk this weekend in London with Sue Blackmore, Simon Singh, Ben Goldacre and other sceptics. 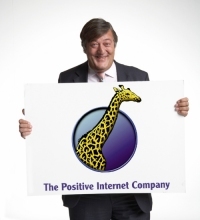 Everyone there was familiar with his work, but he wanted to remind us that even us die hard sceptics are easy to fool. He stood in front of the microphone and talked to us and then at the end revealed that the microphone was not on and the glasses he was wearing had no lenses in them. He could not see us. Our brains were inventing information about the experience to make sense of it. What sort of idiot pretends the standing microphone was on when really he was using a collar device? What sort of idiot wanders on stage without being able to see? What sort of idiot puts useless buttons in lifts? Or takes useless sugar pills for that matter? Now, one factor that prevents us testing our cherished beliefs is our investment in them. For the beliefs we value and have spent time and money nurturing there is a natural aversion to testing them. We just do not want to find out that our effort was for nought. The greater the investment, the more inclined we are to only seek confirmatory evidence for our beliefs and the less notice we take of negative evidence. I can honestly say that despite the thousands of times I have pressed the close door button, I do not feel wedded to the idea that my actions have been effective. I am happy to admit that I may have been taken for a fool. Maybe if you were an old fashioned lift attendant in a posh department store, you might have more psychological investment in your beliefs about button pressing. You have been doing it for years, helping customer up and down between floors. They have been happy customers and pleased that you shortened the journey by pressing the close door button when everyone was ready. They tip you. They would not tip you if you had actually been doing nothing. You spent three years training (by correspondence) on effective lift management. You have a diploma (unaccredited). Your parents are proud. WHO ARE YOU TO TELL ME THAT THE BUTTON DOES NOTHING! So, there is only one answer: science. Test my assumptions. Collect some objective data and see if it confirms my expectations about my ability to influence lift doors. I can do a simple trial. I can time the interval between the doors fully opening when the lift in this building arrives at the ground floor and when the doors finally close before we move off. I can do this six times with a button press and six times without. There is probably no need to invent some sort of blinding mechanism as the opening and closing events are not overly susceptible to subjective interpretation and the lift will probably be unaware that a trial is going on. Maybe I will randomise the trial by tossing a coin as I step in – just in case there are trends or other factors that might make the interval different over the day. I will seek ethical approval. Will you do the same? Can we settle this issue and see if we really are powerless and dehumanised in the face of the cold reality of vertical transportation mechanisms? Let me know. I think the pedestrian crossing buttons are the same. At least where I live (Sydney) pedestrian crossing buttons make the pedestrian crossing lights work – if you get to traffic lights with a pedestrian crossing attached (red man/green man) and nobody presses the buttons, when the light changes the red man stays lit. BTW. the most likely answer I found was that it depends on the wish of the owner of the elevator whether the button is made operatinal or not. The post hoc ergo propter hoc fallacy is extraordinarily prevalent, and clinical scientists are not immune. The statins provide an excellent illustration …. After Ancel Keys’ epidemiological work (and the notorious cholesterol-fed rabbits), we all fell for the hypothesis linking dietary cholesterol & saturated fats to an increased risk of atheromatous disease. Most folks now concede that cholesterol in atheroma is unrelated to dietary cholesterol, and denotes an inflammatory response, due to an excess of pro-inflammatory dietary compounds AND insufficient dietary anti-inflammatory compounds. This was conceded by Keys, who understood the importance of fruits and veg in the cardio-protective Mediterranean diets. He realised that eating is basically a zero sum game; a diet dominated by meat and dairy is likely to contain less fruit and veg, which provide various vasotropic anti-inflammatory molecules. The pharmaceutical industry capitolised on the cholesterol story and sold us statins; which as we are now belatedly learning, are not very effective. What efficacy they have is more likely to be exerted via a paradoxical anti-inflammatory effect. But you can’t stop a fallacy whose time has come. Armies of physicians act as conduits for the pharma companies who have a great deal of money invested in these drugs. Which is why (following your reasoning), they go to great lengths to maintain the fallacy. They corrupt the evidence base, sit on the committees that set cholesterol intervention levels, and promote post-qualification training (aka selling statins). Hardly surprising that doctors continue to press the statin button; prescribe statins and watch the cholesterol levels come down, even though good evidence that this actually confers significant cardioprotection remains thin on the ground. If you want to see what does work, go to Finland, and/or review the works of Karpannen and Mervaala. Their approach does not sit well within the pharmaceutical model, and is ignored outside their country. The close buttons in the elevator at my work do indeed work. I’ve been using them in the morning to ensure that no-one else can follow me into the lift. Well, actually I haven’t, but I have accidentally cut people off several times when the doors open, I walk into the lift, I immediately press the button, and the doors close straight away. That makes it a much more interesting analogy, then. The lift doors in your office work. But can you honestly say it must therefore be true of all lift doors? Likewise the crossings. I’m pretty sure that the crossings outside my house are on a timer. Pressing the button does nothing, they go green anyway. However, I used to live near some that would change immediately when you pressed, if there were no cars. A good game if you timed it right for the one car on the road late at night… But now I’m unsure as to whether any button I approach is going to work or not. It’s not just about subjective experience, but it’s also about whether it’s appropriate to generalise to other situations. 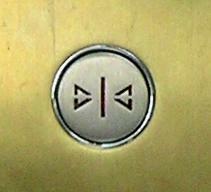 Try pressing the top or bottom floor, the opposite to which ever direction the lift is travelling in. This closes the doors in the Otis lifts in one of my university buildings where the close door buttons do nothing! I read the same item you did LCN, in the New Yorker about the design of lifts yes? You may have noticed that the point about the close door button not working applies only to lifts installed post 1990. I must confess to long having doubts about the efficacy of such buttons so I was gratified to read the article and have my doubts confirmed. Due to the exigencies of breakfast, I didn’t make my statin point at all well. What I meant to say was that when we give statins, cholesterol levels come down and we assume that this will reduce the risk of a cardiovascular event. But the key mode of action is probably little to do with cholesterol reduction, and any benefits are unlikely to be due to what we obsess with, which is (of course) what we can easily measure. This confusion has obscured the fact that there are other therapeutic tools which can be used; vasotropic anti-inflammatory agents which have a far more profound impact on the fundamental problem. We got distracted by the happy combination of an effector (the door button) and an easily quantified dependent variable (door closure), and were encouraged to do so by interested parties. The cheap and portable arterial compliance measuring systems now coming on stream for under £50, will undoubtedly assist the paradigm shift, reveal the statins as distinctly 2nd rate drugs, and provide us with a button that actually works. Wait, LCN reads the New Yorker? I have a backlog of issues to get to before the lift article but I’ll be interested to read it. I had this conversation with a colleague a few years ago, where he expressed a belief in non-functioning close-door buttons in the lifts in our building. So of course I decided to test this hypothesis. Whenever I got in the lift alone I would choose to either push the button or not. After a few weeks I was fairly convinced that the button did indeed work, shortening the time to closed-door status by about 3 seconds. Now, my trial design could have been better (randomisation by coin toss would have been good) but it left me in no doubt that the lifts in that building closed faster if you pushed the button. Of course this isn’t generalisable to other lifts. The parallels with CAM are apt. When we believe very strongly in something, it takes a lot of evidence to convince us that it is not in fact true. The response to the ‘vitamin supplements can kill you’ paper is another example. The evidence for their beneficial effects on reduced mortality is non-existent but I suspect sales will not suffer one jot, since people believe so strongly in their effects. Mostly, I say leave people to their wacky beliefs in various forms of CAM, but in some cases the knock on effects (delayed diagnosis for one) impact on all of us by taking away resources that could have been put to better effect treating others. All because they won’t do a simple trial to test the efficacy of their product. Hmmm…. the last paragraph of my comment didn’t come out right. What I mean is if people want to use CAM and pay for it themselves, then that should be their right. Of course, those of us who think that the majority of it is all elaborate woo should try to educate and inform the users. I read the same article last week and can confirm that the close door button in the Sheffield Central Travelodge does indeed work as intended (and it was installed post 1990). I was rather red-faced after announcing to my friends that it would be ineffective. The test was this: keep pressing the door open button, then stop and wait to see how long it takes to close. Keep pressing door open button, then press the door close button. The second timing was much shorter, so the button must have been effective. Not only do the buttons at crossings work but it’s clear (from observing the actions of others) that people have discovered that pressing them no less than 27 times makes the lights change quicker! paternostalgia (n): A happy memory of continuous lifts. I loved the paternoster lifts at uni. Three people could get in – one to step down, one straight across and to one step up. A favourite fresher induction was to go ‘over the top’ and of course the sophs would kid the freshers that you would come down the other side upside down. The lift to my apartment has no close door button but it does have an open door button. I feel this absence of an important lifting modality is a conspiracy by Big Lifta to profit by ensuring their lifts are always full. By your use of the term “lift” I have to assume that you do not live in America. Here in the States the close door button only has to work when a key is inserted into the control panel. Its main use is for Fire Departments to control the elevators in case of an emergency. In fact, there is a master key that the local Fire Departments have to control all elevators in their city. It keeps the paramedics from having to wait for a ride in case of an emergency. In most buldings, when a fire alarm is pulled, all elevators return to the ground level and the doors are locked open until that key is inserted. Its often used by custodians, movers, and others who need more time to load the elevator than normal. Some of the larger buildings will use this feature during times of high elevator usage to make one elevator an “express” elevator, moving more people quickly. Another use is by bored building managers for racing purposes, something that I am quite good at. As for the pedestrian crosswalk buttons, those, like most things in America, are installed in a totally random and illogical way and may or may not work, and usually the walk light does not give the average person enough time to cross the street before changing to do not walk and making the pedestrians sprint across the second half of the street dodging traffic. We Americans have long since given up trying to figure these types of things out. BTW, lift does seem like a much better word than elevator. And its a helluva lot easier to type. Both the terms ‘lift’ and ‘elevator’ and only really half descriptive as half the time their are either a ‘drop’ or a ‘descender’. I would guess marketing them as ‘drops’ might be quite difficult. This ‘close door’ button issue occurred to me years ago. I did testing and determined that the vast majority of them do not work. Perhaps the default setting is to turn them off, with some building managements preferring to turn them on. Wirral, UK. Our lifts: a timer controls the lift doors closing (at any point, this seems accepted wisdom). By observation (not particularly close though!’Open’ button inside (to let more people in/late comers) resets timer, but close button can now work (can’t rely on using ‘open’ button to do the test, it’s a different test/protocol Weol!). Close button may appear to work otherwise due to time/attention required to find it on the panel. Do we need the lifts from Hitch Hiker’s anyone? Crossings: it’s fun to find one that is little used. Seem to be timers at work here as well (may be set to traffic volume?). If the crossing has not been operated recently (few minutes, nice straight road, walking, you can see), you can choose exactly which car to stop (if you know period of delay/amber duration). Might have changed now… I rarely use them, driving everywhere… bloody pedestrians… TC. we had a classic case here in Poole. One particular type of cargo ship had been having problems turning round in the harbour because when the engines were reversed to try and change direction a torque-limiter was disengaging the engines. A modification was made in the form of a large red button labelled “torque limiter over-ride” which enabled the captain to dial up full astern when going forward, or vice versa, without the trip operating. This solved all the problems until one day a ship turned up which had had the modification carried out, but still tripped out when the engines were reversed, resulting in a large dent in the structure of Poole Quay. It turned out that the contractor carrying out the modification had installed the button OK but never connected it to anything. Its good that a lift has buttons that dont work – great for inspiring confidence. Knowing for a fact that the button in the elevator in my building worked, I thought the whole idea of useless buttons to be ridiculous. I did find another article that ALMOST makes sense. It clarifies the issue of why some might work. Those manufactured before 1990 in the US and all elevators in the UK that have the button. I can understand an INSTALLER disabling the button of elevators made before the 1990 ADA laws if they were being put in after that, but I can’t imagine a MANUFACTURER wasting money by creating a pointless button just to make people feel they have control as every story claims to be the case. Anybody find a manufacturer admitting to anything beyond the logical use of parts they already had in stock?